ROAD TOWN, Tortola, VI - BVI Finance recently completed a round of events in Monaco, Chile and the United States which showcased the territory’s diverse offerings in the financial services industry to international practitioners and high net worth end users. The visits all took place between September 23, 2015 and October 1, 2015. He said that the Chilean visit was an opportunity to promote the insurance sector in the VI and promote the territory as a jurisdiction of choice for captive insurance business. “And then we also attended on October 1 the Hedge Funds Americas Forum which was held in New York,” he said. 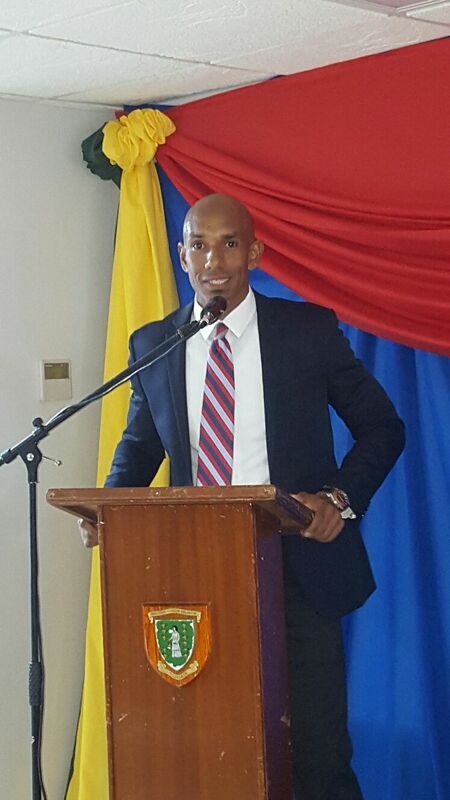 Johnson noted that while BVI Finance does not have a presence in New York it was represented by two members of the private sector who presented on the behalf of BVI Finance with a particular focus on two new funds products that were introduced earlier this year by the Financial Services Commission. The Monaco Yacht Show was held from September 23 to September 26, 2015 in Port Hercules, Monaco. “Celebrating its 25th year, the event is the luxury yachting industry’s premier showcase. The BVI delegation included both public and private sectors partners that was comprised of the Virgin Islands Shipping Registry (VISR), BVI Finance, BVI Customs Department, BVI Tourist Board, and [others],” said the release. Johnson said participation in the show afforded the VI the opportunity to market and promote the jurisdiction as a place to register vessels, a destination for sailing and also a jurisdiction that can service their wealth management needs. “At the Monaco Yacht Show 500 of the world’s leading luxury yachting companies including super-yacht builders, yacht designers, luxury manufacturers and the largest brokerage houses along with over 15,000 professionals participate in the four-day event. For the BVI, a significant benefit at such an event is to have the opportunity to engage the major players in the luxury yachting industry and to let them know that the BVI is very much interested in their business and is a viable option for yacht registration,” said Johnson as quoted in the press release. Visiting the BVI Booth at the show was His Serene Highness Prince Albert II of Monaco who had the opportunity to learn first-hand about the territory’s offerings as well as taste the territory’s signature cocktail, Painkiller, with members of the BVI delegation. On September 29 and 30, BVI Finance was represented by Alicia Green and Alvarro Becerra of TEAM BVI Latam and Managing Director of Amicorp Chile office at the Chilean Risk Management Summit. The conference is an invitation only summit for risk management professionals seeking reinsurance and new investment opportunities. Targeting the most southern nations in Latin America, the conference was an opportunity to introduce the VI to that growing market. At the summit, Becerra got the exclusive opportunity to present the topic of Embracing Innovation in Captive Insurance and Investment Strategies. The benefits of international reinsurers including ease of engaging with offshore jurisdictions such as the VI was also explained in detail. Showcasing the jurisdiction’s funds products, on October 1, 2015 in New York City, New York, the territory participated in the Hedge Funds Americas Forum. “This event provided participants the opportunity to meet over 150 pension schemes, family offices, foundations and endowments. It is the Americas largest and most specialised hedge fund event,” the release said. It said that at the forum, Johnson reinforced the need for the territory to continue to remain visible at events such as the Monaco Yacht Show and other international conferences to market the VI’s diverse offerings. He added that as the industry evolves so will BVI Finance to ensure that the VI remains relatable and is adapting to the needs of both current and potential clients. Hope tis more substance than show!! He cannot do any worse than the One who was sent to Hong Kong and the acting one after her! Two duds! That's where the office lost its way. He has all the ability and personality to do a better job! Agreed. How does all this help BVI on the world stage where BVI have fallen off the radar? There is too much talking and jet flying with nothing substantial to show for it. Two very green dudes who don't know jack, except that they are toeing the line.